Escape for a winter weekend break or have some festive fun in Shakespeare’s Stratford this Christmas! Winter is such a wonderful time to visit Stratford upon Avon; it is really beautiful at this time of year. Visitors and locals alike will be able to enjoy the unique atmosphere of the Christmas Market, underneath the spectacular Christmas light displays. You will be able to find both traditional and continental stalls filled with all kinds of inspiring, tasteful and gorgeous gifts to please even the most discerning shopper. The Christmas market hosts all kinds of delicious and interesting food and drink. If that’s not enough - the shops on Bridge Street will also stay open late until 9pm on these dates! There is free parking available on Arden Street, Church Street, Windsor Street as well as Riverside car parks. 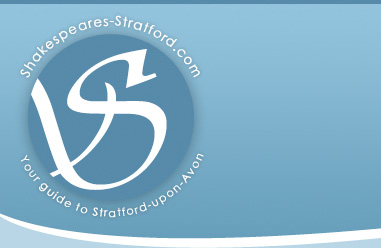 (Stratford upon Avon Christmas Market will take place on Bridge Street every Thursday until December 17th). This year marks the 25th anniversary of the founding of Stratford Christmas Lights. Stagecoach will operate their double-decker City Sightseeing Bus tour on the Late-night shopping evenings of the 3rd, 10th and 17th December. Visit Shakespeare’s Houses; Nash’s House, Anne Hathaway’s Cottage and Hall’s Croft as they show us how Christmas was in Tudor Times. With a wide range of activities commencing on the 12rd December until 3rd January they are sure to get you in the seasonal spirit. Great fun for all the family with traditional Tudor games, mince pies, mulled wine, music, carols and storytelling there is something for everyone. Santa, or 'Father Christmas' as he is often known, is always delighted to see you and your children in his beautiful Christmas grotto. Come and visit Santa's Grotto and Elve's Workshop in the run up to Christmas. Admission: £4 per child.